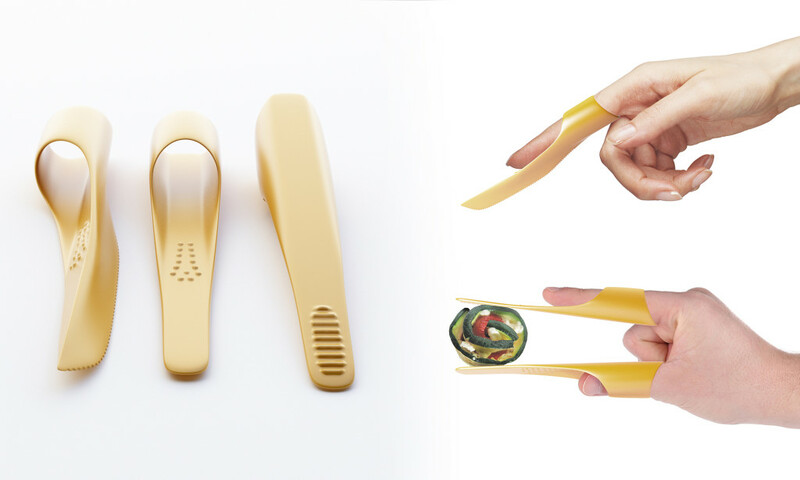 “Food rings” is a family of wearable cutlery. 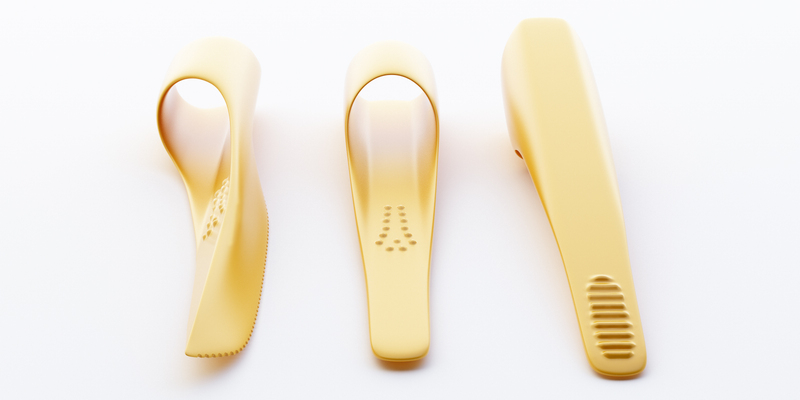 These design utensils are simple to use. Just put them on your fingers like rings. 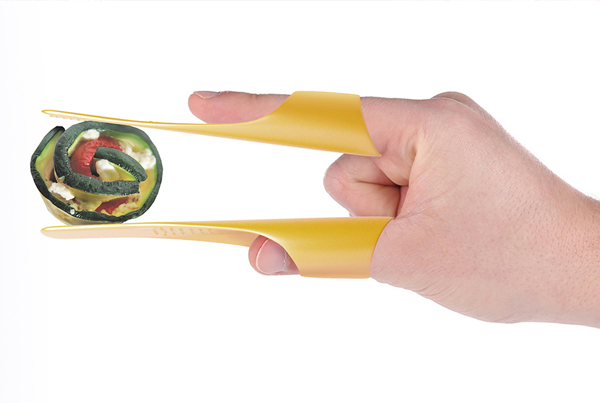 Once dressed they transform your fingers in food accessories. 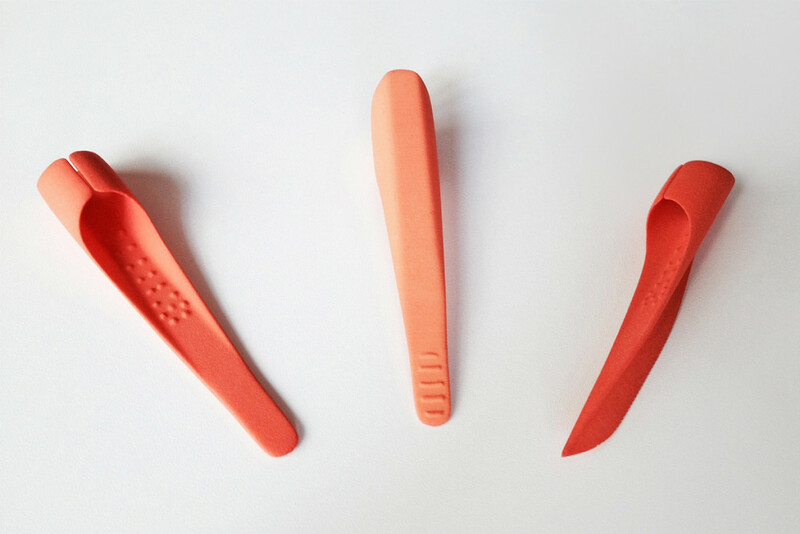 The set consists of 3 elements: two sticks that you use like tweezers to pick up food and a knife. “Food rings” are perfect for finger or street food and give you new playful eating experience whether at home or on the go.